Description: This major extension of existing scholarship on the fragmentation of international law utilises the concept of 'regimes' from international law and international relations literature to define functional areas such as human rights or trade law. Responding to existing approaches, which focus on the resolution of conflicting norms between regimes, it contains a variety of critical, sociological and doctrinal perspectives on regime interaction. 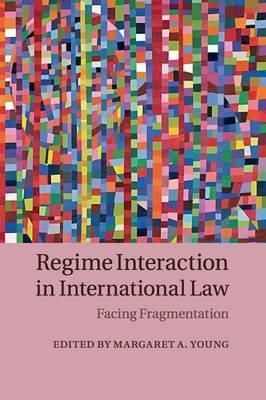 Leading international law scholars and practitioners reflect on how, in situations of diversity and concurrent activity, such interaction shapes and controls knowledge and norms in often hegemonic ways. The contributors draw on topical examples of interacting regimes, including climate, trade and investment regimes, to argue for new methods of regime interaction. Together, the essays combine approaches from international, transnational and comparative constitutional law to provide important insights into an issue that continues to challenge international legal theory and practice.